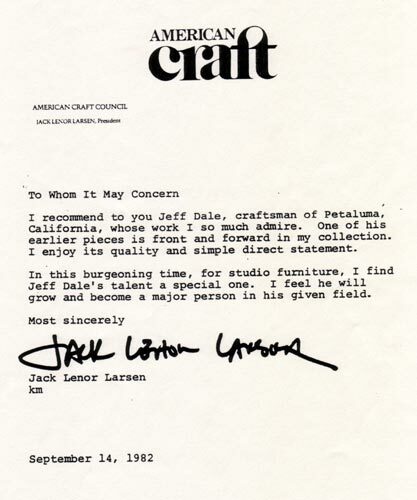 I recommend to you Jeff Dale, craftsman of Petaluma, California, whose work I so much admire. One of his earlier pieces is front and forward in my collection. I enjoy its quality and simple direct statement. In this burgeoning time, for studio furniture, I find Jeff Dale's talent a special one. I feel he will grow and become a major person in his given field.